You don’t have to be a 60’s hipster to love fondue - this treat is back to stay! Fun to serve and enjoyable to eat, fondue is a great way to stir up excitement at your next dinner party. Delicious bread and cheese, tasty meat and broth, delectable fruit and chocolate...all these choices and more are easy to create and enjoy. With dozens of beautiful, high quality models to choose from, it’ll be easy to find a fondue set that suits your cooking needs - and fashion style. 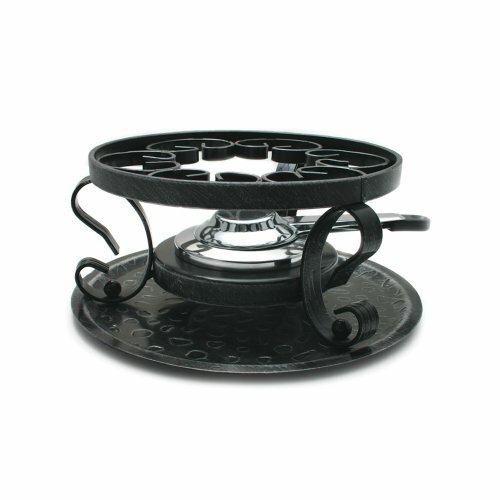 Swissmar wrought iron rechaud with fondue burner.